Illustration and micrograph from: Fujimoto, S. 2015. 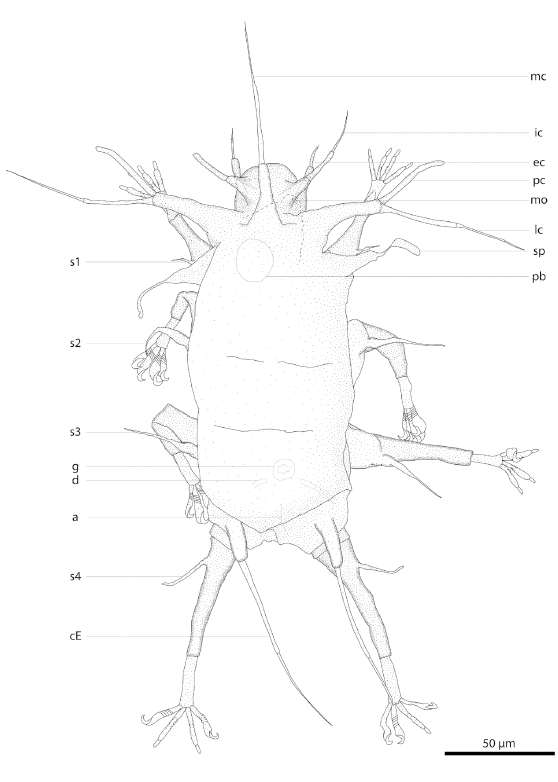 Halechiniscidae (Heterotardigrada, Arthrotardigrada) of Oura Bay, Okinawajima, Ryukyu Islands, with descriptions of three new species. ZooKeys. 483: 149-166. Illustration from: Fujimoto, S. 2015. 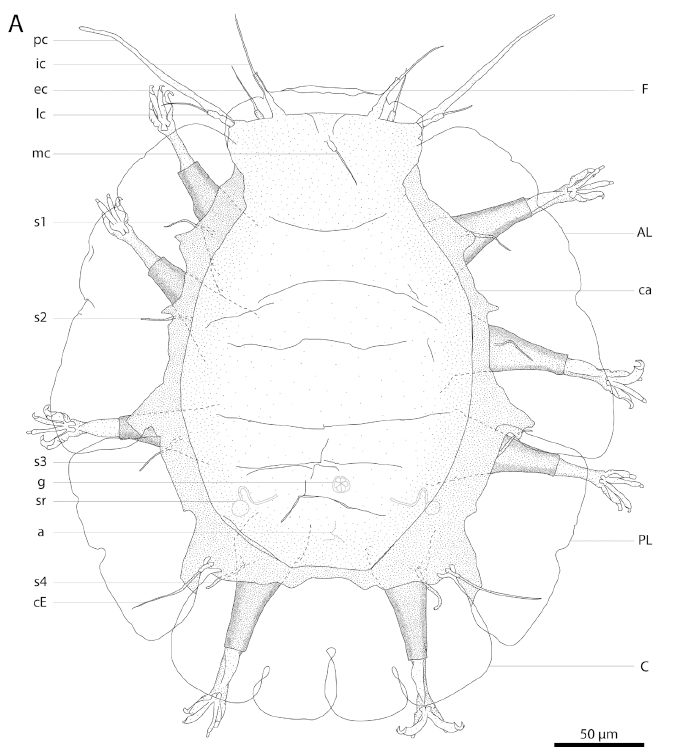 Halechiniscidae (Heterotardigrada, Arthrotardigrada) of Oura Bay, Okinawajima, Ryukyu Islands, with descriptions of three new species. ZooKeys. 483: 149-166. (c) Cambridge University Press. All rights reserved. 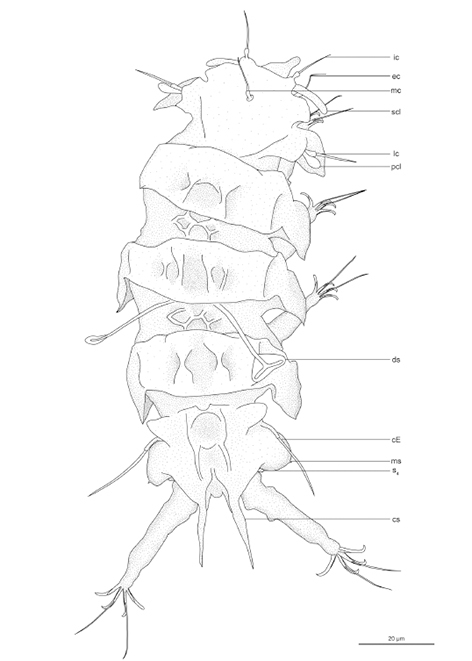 Illustration from: A new marine tardigrade, Tanarctus diplocerus (Arthrotardigrada: Halechiniscidae) from Japan. Shinta Fujimoto, Katsumi Miyazaki and Atsushi C. Suzuki. Journal of the Marine Biological Association of the United Kingdom, 93(4): 955-961. (c) Magnolia Press. All rights reserved. Illustration from: Fujimoto, S. 2014. 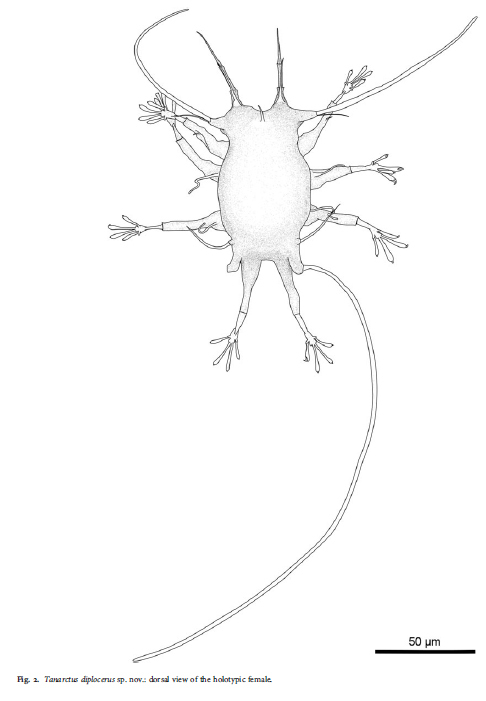 A new Stygarctus (Arthrotardigrada: Stygarctidae) from Japan, with entangled seminal receptacle ducts. 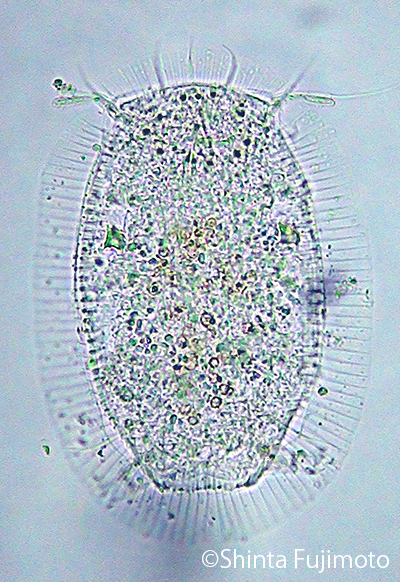 Zootaxa. 3784 (2): 187-195.